A new set of DLC for Disney Infinity launched today and includes Columbia, the floating city in the sky from BioShock Infinite as well as popular Disney locales. The DLC release trailer features voice-overs from Disney Infinity’s developers providing a little bit of information on each new “Toy Box” that players can download and play today. Notably, one of the Toy Boxes is for a recreation of Columbia, the setting of BioShock Infinite, which has no affiliations with Disney. Also of note, while there aren’t any Star Wars characters in Disney Infinity yet, you can now download the Trench Run from the original Star Wars trilogy to fly and shoot your way through. 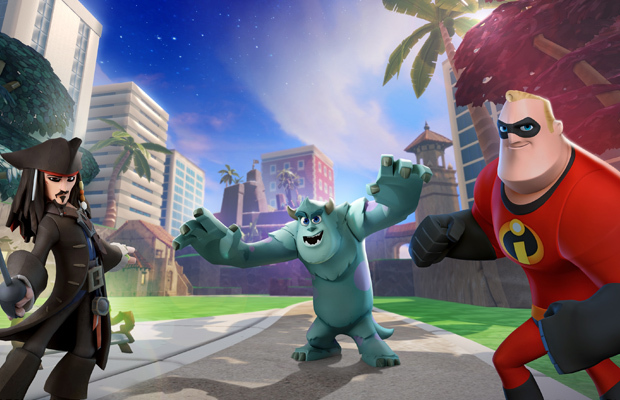 Disney Infinity was launched in August for PS3, Xbox 360, Wii, Wii U and 3DS. If you picked it up, what do you think of the Disney Infinity? Let us know what you think in the comments below or follow us on Twitter and like us on Facebook.